Forget about Google tracking you across the Web, what about a shopping cart that can follow you around Whole Foods? That's what your future trips to the natural foods grocer may include, based on a recent product demonstration by Microsoft. The software giant was showing off a Kinect-powered shopping cart that can identify and talk to you, follow you around the store, scan items as you shop, and even put you through an automated checkout. The new shopping cart is an early prototype design called Smarter Cart from Chaotic Moon Studios, a mobile application development firm based in Austin, Texas, according to reports from GeekWire and Wired. Smarter Cart uses a Windows 8 tablet, Kinect sensor and a barcode scanner to get you around the store and help you shop. The high-tech cart is able to identify you based on a membership card, and scan items as you place them in the cart. The device can also load up your shopping list and let you know where items are located in the store and when your shopping list is finished. Smarter Cart can also detect when you've picked up the wrong item based on your shopping list. In a demonstration video captured by GeekWire, Smarter Cart was able to detect when the shopper placed gluten-based pasta in the cart, but the shopper wanted a gluten-free product. Smarter Cart not only caught the mistake, but also directed the shopper to the proper aisle where the gluten-free pasta was located. Of course, the coolest part about this cart is that it can use the Kinect sensor to follow you around the store instead of you having to push it. In the video, the cart had a little difficulty tracking its shopper at times, but it was still pretty impressive to see the device follow someone even for a limited time. Microsoft was demoing Smarter Cart as just one of the hundreds of projects companies are working on since Microsoft released its Kinect for Windows commercial software development kit in February. 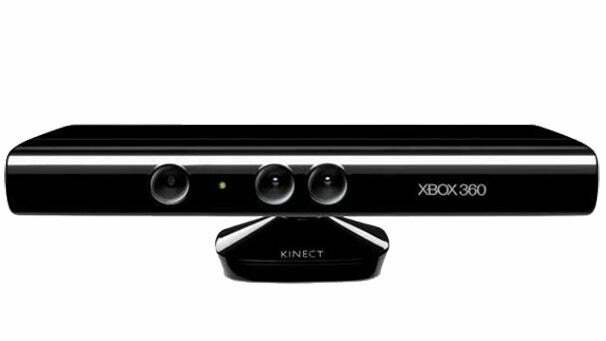 Kinect began as a motion- and voice-detection device for Xbox 360 gaming, but soon after hackers began getting Kinect to work with Windows and other machines. Microsoft, after first objecting to Kinect hackers, embraced the idea and is now pushing Kinect for Windows as a commercial software development tool. Wired says Chaotic Moon has been testing out Smarter Cart in a Whole Foods store in Austin, but allowing only one Smarter Cart at a time in each store. Beginning in April, the company will test multiple devices at once. It's not clear when, or if, the new device will roll out to stores nationwide.